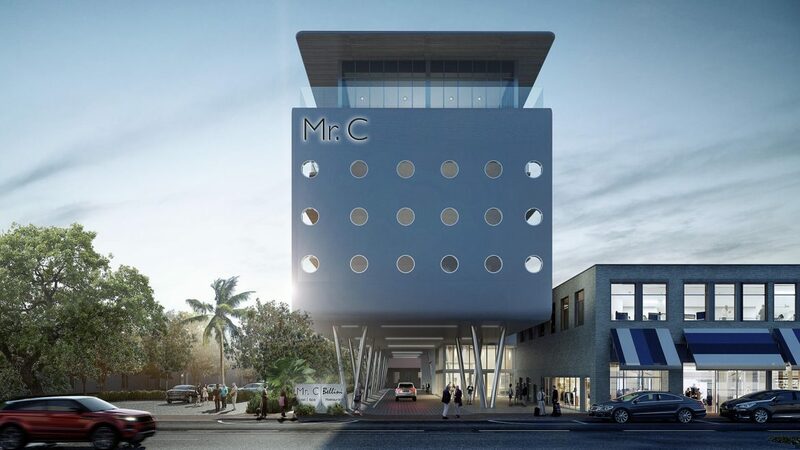 The highly anticipated Mr. C Coconut Grove, the first Mr. C Hotel to debut in Florida from the fourth-generation hospitality leaders, brothers Ignazio and Maggio Cipriani, has announced that the property will open in spring 2019. Mr. C Coconut Grove is situated in the heart of one of Miami’s most notable neighborhoods and is set to provide guests with unmatched views of Biscayne Bay and the Coconut Grove skyline. From its interior, the hotel draws inspiration from Italy’s iconic coastal style and hints at the aesthetic elements of a classic yacht. Interior design includes high gloss timber paneling, leather-upholstered blue and caramel headboards, nautical style dressers, playful and comfortable sofas and armchairs in a range of soft and airy blue, and white and pink fabrics throughout the space. 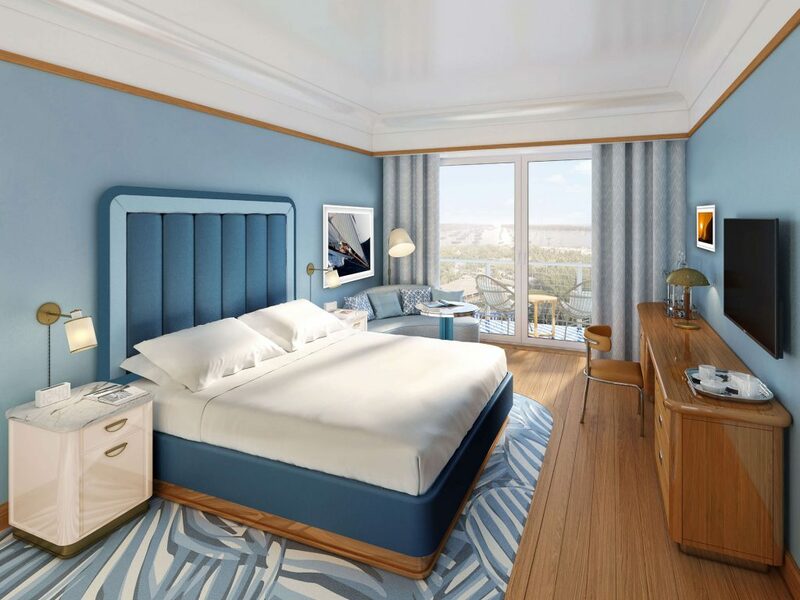 Acclaimed architecture and design firm Arquitectonica, in conjunction with the Martin Brudnizki Design Studio, combined the stylish European glamour and nautical aesthetic Mr. C Hotels are best known for with the tropical surroundings of South Florida. In addition to its 100 guestrooms and suites with private outdoor terraces, Mr. C Coconut Grove also features the Bellini Restaurant and Bar, on the hotel’s top floor. The restaurant boasts a refreshing new Italian dining concept inspired by Ignazio and Maggio Cipriani’s travels throughout Italy, and offers indoor and outdoor seating that exudes the intimate old-world atmosphere of coastal Italy while embracing a sleek and soothing Miami modern style. For corporate meetings and social events, Mr. C Coconut Grove offers guests a top floor ballroom with panoramic views of the Biscayne Bay. The space can accommodate a seated dinner for approximately 150 guests and cocktail reception for 300 guests, with an additional pre-function space. A covered event space is also available in the hotel’s ground floor for up to 720 guests. 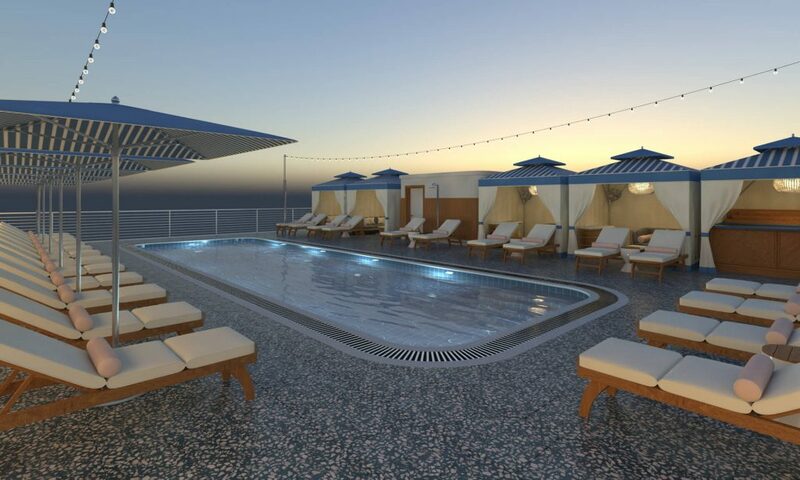 Other statement features include a rooftop pool and pool deck with private cabanas and a pool bar, state-of-the-art gym equipment with personal trainer and yoga classes available upon request, a Lobby Lounge with indoor and outdoor garden seating, and a private spa suite with a relaxation area, sauna and treatment room which can be reserved through the concierge team.